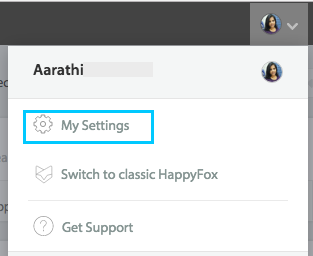 HappyFox provides you an option to set your preferred order of Ticket Updates. Whether you'd like to view the most recent update on top or the oldest one first. 1. Click on the Avatar icon on the top right corner. 2. Click on My Settings. 3. Click on Ticket Preferences. 4. 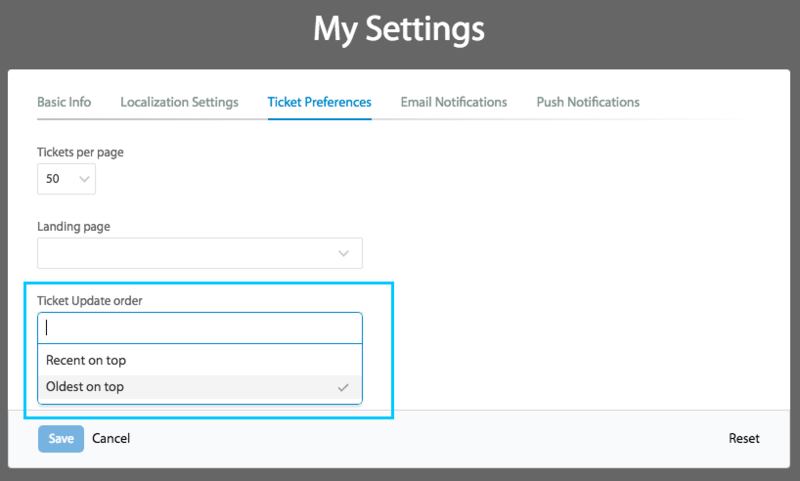 Select the desired option from Ticket Update order section and Save. The changes will be reflected under the Updates section of every ticket.